U.S. Rep. Jan Schakowsky (D-Ill.) at an event in May 2017. 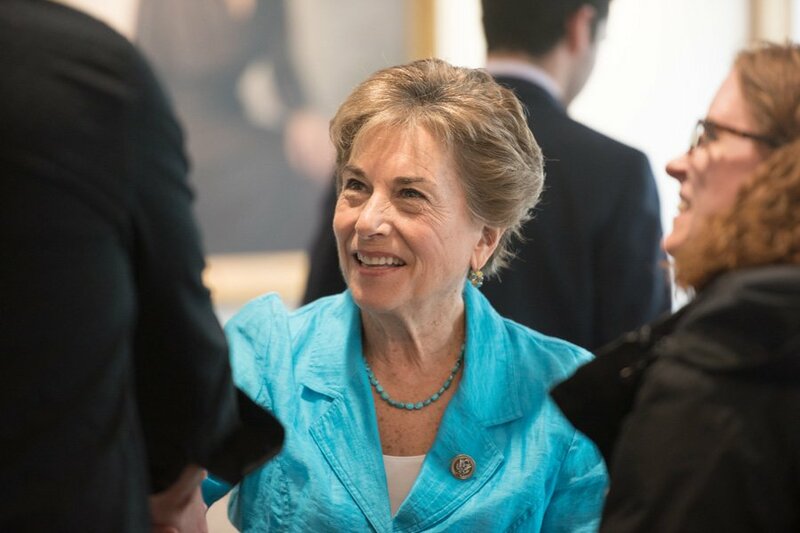 Schakowsky was selected to chair the Committee on Energy and Commerce Subcommittee on Consumer Protection and Commerce. U.S. Rep. Jan Schakowsky (D-Ill.) was selected to chair the Consumer Protection and Commerce Subcommittee on Tuesday. The subcommittee, under the Energy and Commerce committee, is likely to take a progressive agenda of protecting consumers, following the Democratic takeover of the House. In a statement released Tuesday afternoon, Schakowsky said she was “honored” to be selected. She said she started in politics because of her passion for consumer protection, and added that her subcommittee works on issues central to everyday life including data privacy and product safety. According to the Energy and Commerce website, Schakowsky’s subcommittee has jurisdiction over “interstate and foreign commerce,” “commercial practices” and “regulation of travel, tourism and time.” Schakowsky will take over the chairmanship from U.S. Rep. Bob Latta (R-Ohio). Schakowsky emphasized the “immense talents” of the other members of the subcommittee and promised to “conduct rigorous oversight” of the White House.